Here are some beautiful contrasting colours for you to enjoy! ← A Sparkly Thank You! wow i like this one. does the weight of the wrap give you a headache? Nope! I used to get chronic migraines so believe me I know about this – when you use light scarves and you make sure that you wrap and tie TOWARDS your head (does that make sense?) it doesn’t cause headaches. I would assume that someone with long thick hair would get weight headaches much more! 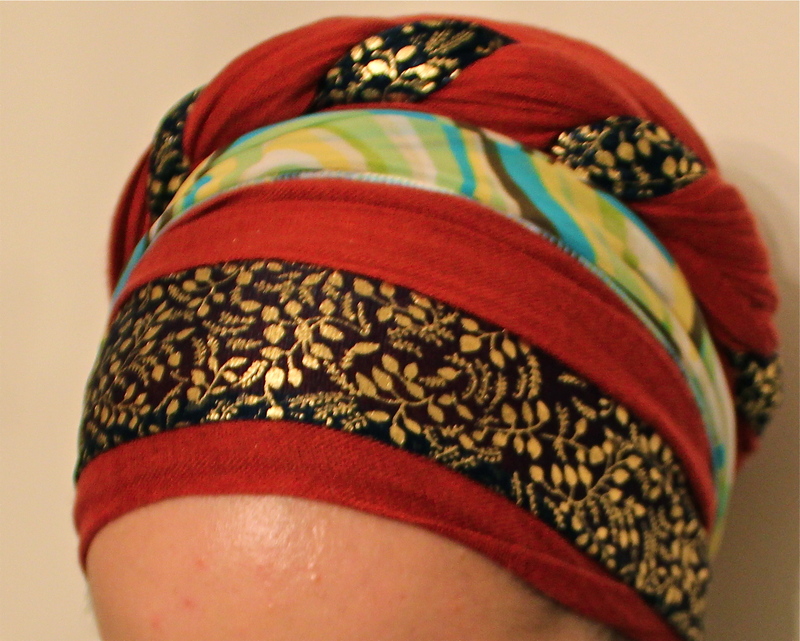 I love the idea of a head wrap. Very beautiful wrap! I love how you incorporated the yellowish blue scarf, which gives it a hint of modern.